October 31, 2007  Whenever he took the stage, audiences were guaranteed a musical spectacle. Half mystic, half visionary, the pianist and bandleader charted a relentlessly adventurous course through the jazz tradition. October 29, 2007  Colombian pop musician Juanes has sold more than 10 million albums and won 12 Latin Grammys. His latest album, La Vida....Es un Ratico, or Life is a Brief Moment. Juanes talks about his life and music. October 29, 2007  Celebrated country singer Porter Wagoner has died at 80. He had been hospitalized for lung cancer. Wagoner joined Nashville's Grand Ole Opry in 1957; 10 years later, he hired Dolly Parton, then 21, as his duet partner. Wagoner was often known as much for his wardrobe as his music. October 28, 2007  Producer T Bone Burnett found a surprisingly good fit when he matched wispy-voiced bluegrass vocalist Alison Krauss with hard-rock belter Robert Plant (of Led Zeppelin fame). Their new CD, Raising Sand, has a relaxed, intimate feel. October 27, 2007  His pop songcraft mixes the international rhythms and polyglot languages of his native Barcelona. For Dani Carbonell, the voice and songwriting talent behind the band Macaco, musical fusion comes naturally. October 26, 2007  A new campaign by in Dallas targets the hip-hop style of wearing your pants low — with a signature song that suggests it makes you look gay. October 25, 2007  Hear the new-wave/indie-rock band Metric give an interview and perform its songs in the studio. Its members discuss their transition into a real live band, and they describe the challenge of matching their live sound to the computer-generated one. October 25, 2007  R&B sensation Sharon Jones talks about her breakthrough success, which was decades in the making. Her latest CD is "100 Days, 100 Nights." October 24, 2007  In September, Medley released a solo album titled Damn Near Righteous — his first release since the death of Righteous Brothers partner Bobby Hatfield. Hear an interview and in-studio performance by the soulful pop legend. October 24, 2007  He was a sideman with the early stars of jazz, led one of the most admired bands on the swing era, and catalyzed the careers of musicians like Charles Mingus. 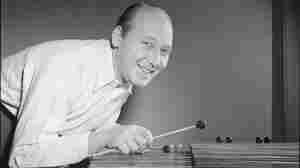 All the while, Red Norvo was bringing the mallet instruments to jazz. October 23, 2007  Unsigned and living in a van, Hoop took the Los Angeles area by storm with only a demo recording. Several years later, she has a fully fleshed-out major-label album, one that draws on sundry sounds and shape-shifting voices. October 23, 2007  English singer-songwriter Scott Matthews crafts an endlessly listenable blend of folk, rock and blues. His U.K hit album Passing Stranger finally surfaced in the U.S. last month. Hear an interview and in-studio performance. October 23, 2007  Sacramento Bee music writer Chris Macias and political artist Serj Tankian, of the rock group System of a Down explain how many of today's pop artists are finding interesting methods to get politically-minded and socially-conscious lyrics into their songs.